Home » NEWS » Presidency To Forcibly Reconvene Senate, Impeach Saraki? Presidency To Forcibly Reconvene Senate, Impeach Saraki? 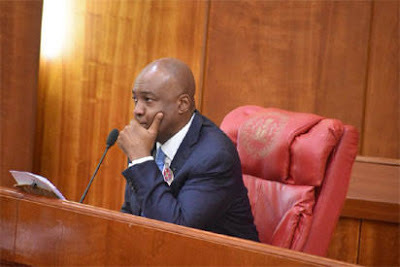 There are ongoing plans by some All Progressives Congress (APC) senators working in connivance with the presidency to forcibly reopen the Senate before the September 25 date it was officially expected to resume. That was the date announced by Senate president Bukola Saraki. It was gathered that the plot to have the Senate summarily reconvened with the objective of effecting Saraki and Ike Ekeremadu’s impeachment is part of the Plan B in the hatchery of those whose plot to allegedly remove them on Tuesday, last week, failed. He said another reason being advanced was the anxiety of the Independent National Electoral Commission (INEC) regarding the effects of the shutdown of the National Assembly on the commission’s N242bn 2019 poll budget. The source said: “The presidency is currently seeking the opinion of lawyers and experts on how it will be possible to reconvene the Senate ahead of the September date announced by the Senate President. Nigerians at the weekend said it would be unconstitutional for the APC-led Federal Government to reconvene the Senate before the September 25 official date announced by Saraki. “If they attempt that, it will be a gross violation of democratic ethos. If there is any conservative way in which they want to reconvene the Senate, let them show us. “So, I don’t think they want to carry out such act, but if they do, then that will be the end of democracy and we will be back to martial rule and military dictatorship."